Walker Mower’s out front grass collecting models provide the most incredible lawn finish in the business. Many high visibility sites are mowed with a Walker Mower - the quality of the finished cut is legendary. 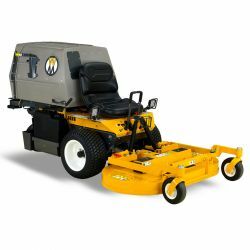 The combination of out front mower deck, shaft drive deck system and small compact foot print makes for a great mowing experience; which is why Walker Mowers are the choice of so many commercial contractors.